Having moved out of Richmond for a while now, I must admit, I really miss the quality and quantity of good Asian restaurants within the city. Now, when I want good Shanghai or Szechuan food, I have to drive across the bridge to get it and time my way back just so I won’t get stuck in traffic! So when I was told of Private Home Chinese Cuisine restaurant nearby, I was thrilled, and quickly went to try it out. 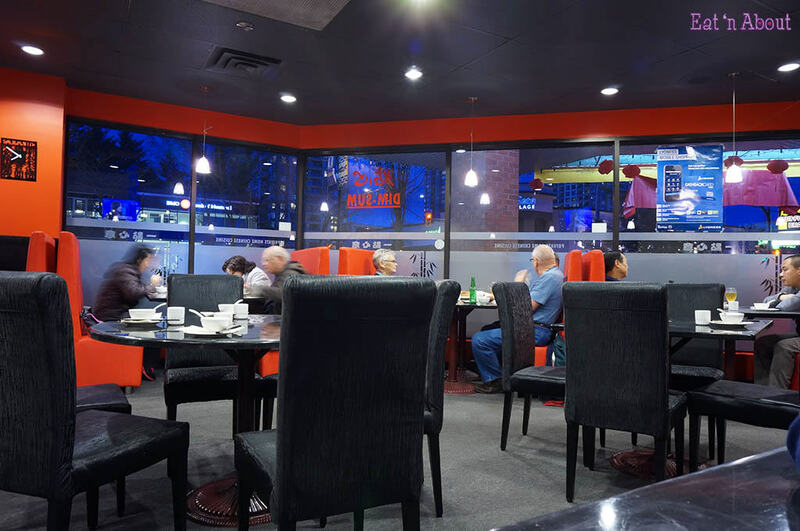 Private Home Chinese Cuisine restaurant is a mish-mash of cuisines in one. They have “Shanghai”, “Szechuan”, and some other fusion Chinese. Usually I’m not into these kinds of restaurants, but I’ve been told their xiao long bao is pretty good, so I was happy to give them a chance. Very (VERY) brightly lit interior…too bright actually, for me…makes for good pictures though. Also very spacious interior with a very modern decor. 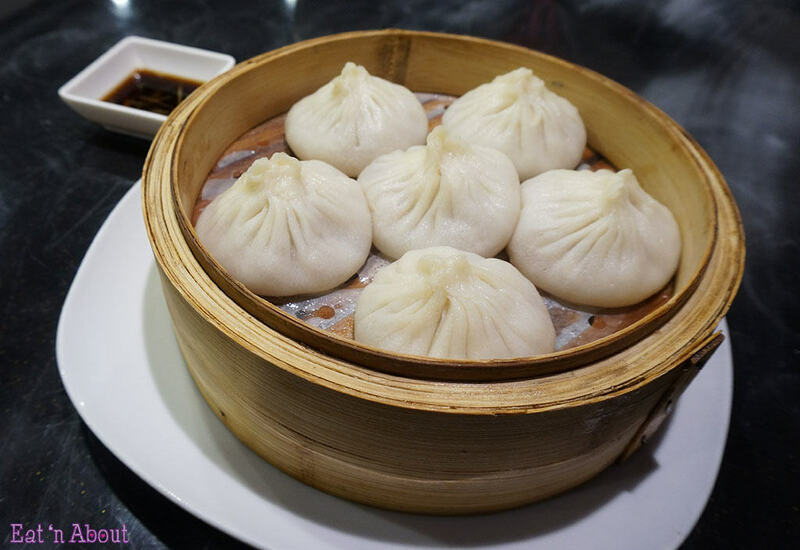 Here are Private Home Chinese Cuisine’s version of xiao long bao, called Steamed bun filled with pork Shanghai style ($5.99). I must admit, they’re pretty good, but still don’t come anywhere close to the likes of Richmond. However, the skin of the dumplings are sufficiently thin without breaking apart too easily. The filling is a a bit milder tasting than the ones in Richmond though, but the size is bigger. All in all very enjoyable for what it’s worth. We also got the Vermicelli and chicken with spicy sour sauce ($8.98). We were told to add the side of sauce slowly as some customers have complained about it being too salty. I was hoping the vermicelli would be more of a chewy consistency but these just kinda broke apart. However the sauce was tasty, but neither sour or spicy….just….spiced. Tan Tan Noodles with Spicy Sauce ($6.98) is always my favorite, so I had to try Private Home’s version. Again the version here is the sesame/peanutty soup version. 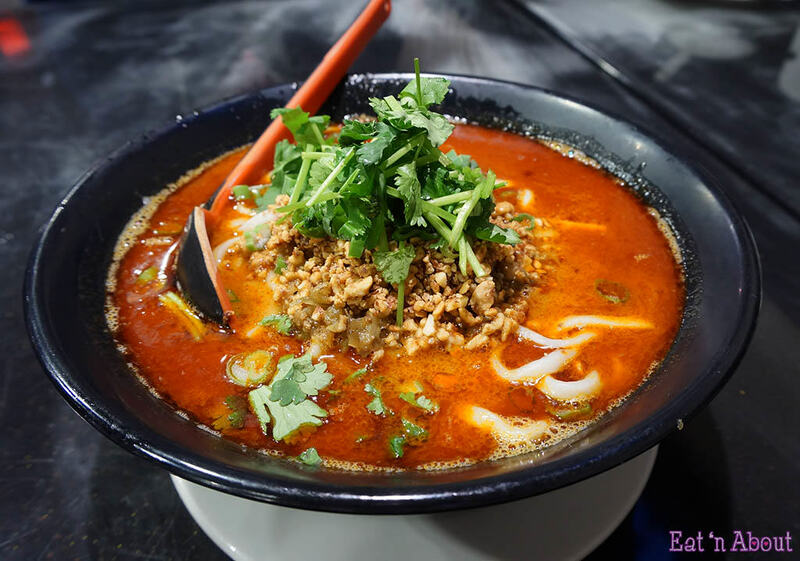 The noodles are actually quite thick and had the consistency of Chinese ramen noodles. They were chewy though, which is always a plus in my books, plus the copius amounts of cilantro is always a win with me. As you can see though, with the amount of oil sitting on top, this tasted quite fatty. Last dish of the night was the Boiled Beef with Assorted Vegetables ($14.98). Again, it’s for sure no where as good as the versions in Richmond, but for the convenience of not having to travel there, this is pretty good. 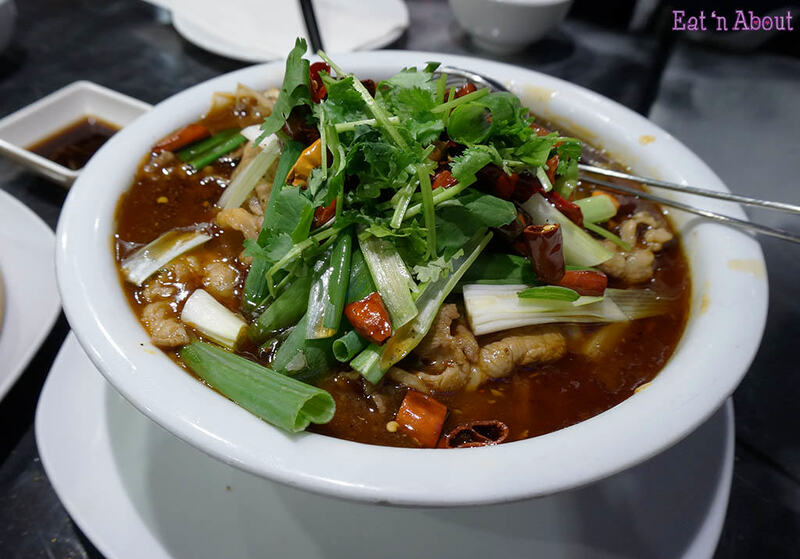 It’s really missing the metallic tongue-numbing qualities of a good Szechuan version of the dish. Otherwise if you take it as it is, it’s pretty good. 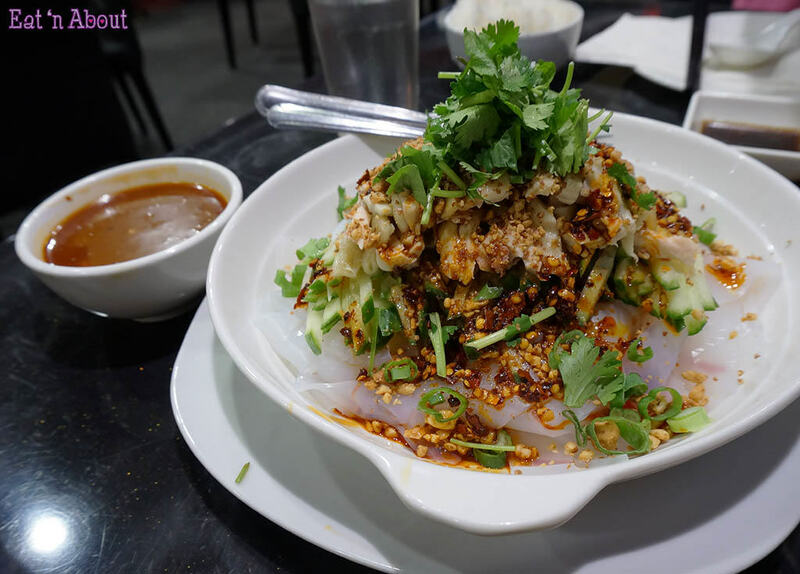 All in all, Private Home Chinese Cuisine is a good choice in a bust for Chinese food, but just don’t expect a really authentic version of Shanghai or Szechuan food here. If you keep that in mind, you’ll enjoy your stay here, as I did.